Concealed soft-close door hinges. White Carrera Marble Countertop. Counter includes 3" backsplash. Available with Porcelain undermount sink(s). Oval sink(s) available with pre-drilled 8" Widespread 3-Hole faucet mounts. Faucet(s) not included. Metal exterior hardware with brushed chrome finish. Two (2) functional doors. One (1) functional drawer. Plenty of storage space. Variations in the shading and grain of our natural stone products enhance the individuality of your vanity and ensure that it will be truly unique. Plenty of counter space. 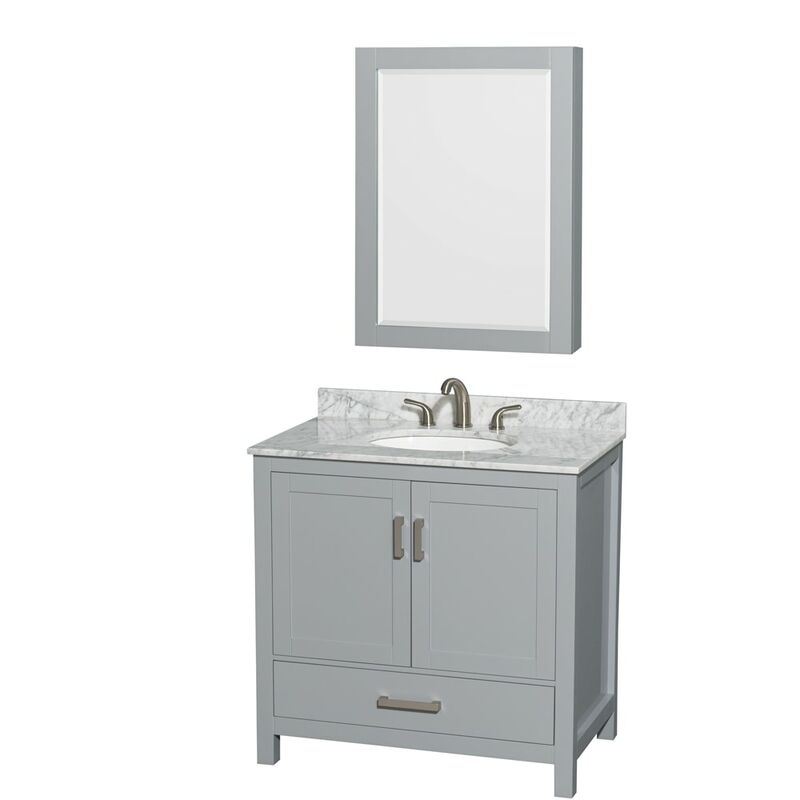 Dimensions - Vanity: 36" x 22" x 35"; Mirror: 24" x 6.25" x 33"